Welcome to Deer Park Lodge Resort and our information regarding our two beautiful bodies of water Muskallonge Lake and Lake Superior. 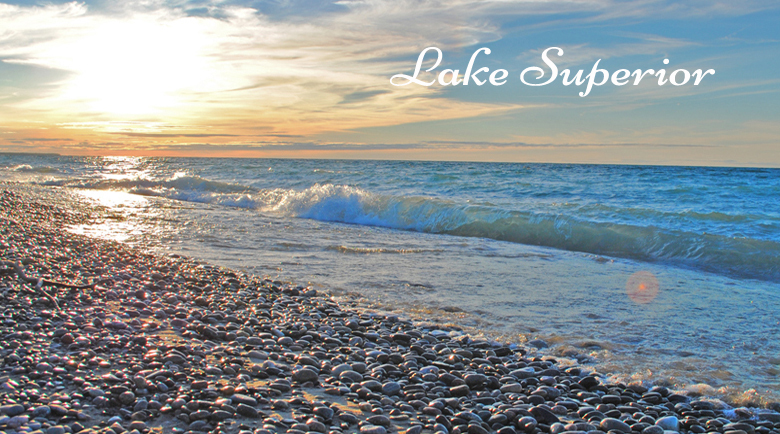 Our guests love to visit the Upper Peninsula to utilize our lakes, both Muskallonge Lake and Lake Superior for beach combing, sight seeing, kayaking, boating, fishing, tubing, agate hunting, and watching beautiful sunsets. Deer Park Lodge Resort also has rental boats for visitors to the area. Deer Park Lodge Resort has fishing licenses, tackle and live bait available here at our General Store. Muskallonge Lake lies immediately south of the Lake Superior shoreline in northern Luce County, about 27 mi north of Newberry. Trout Creek is the primary water source for our beautiful lake. Muskallonge Lake is immediately available to all our guests to utilize in so many different ways. Fishing Muskallonge Lake highlights a great line-up of fish species such as northern pike, musky, pumpkinseeds, smallmouth bass, rock bass, walleye, & perch. Deer Park Lodge Resort has fishing licenses, tackle and live bait available here at our General Store. We also have 14' Aluminum Fishing Boats with a 6 horse power motors for rent. You may rent by the day, or by the week. These are perfect for enjoying a relaxing cruise along the lake or fishing. 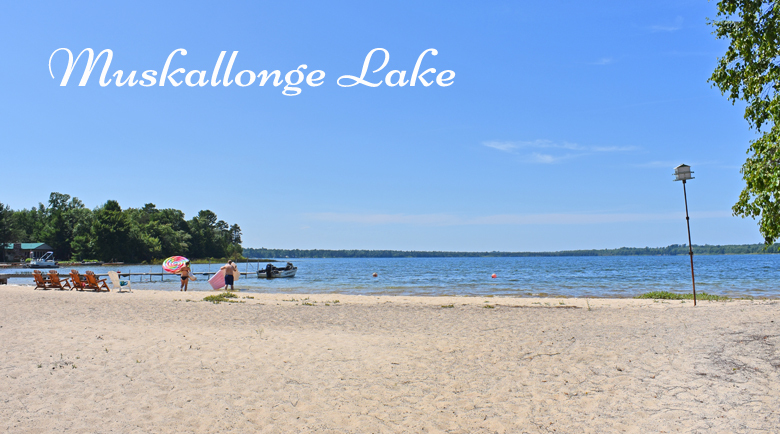 We are sure you will enjoy our Muskallonge Lake Boat Rentals, perfect for you and your family! Deer Park Lodge Resort on Muskallonge Lake offers lakefront family vacation fun with sandy beaches, sitting areas, fire pits, boat rentals, and great scenic sunsets. Sit and relax with family and friends along the edge of Muskallonge, roast hot dogs and marshmallows at our beach fire pit, and watch a beautiful sunset. Muskallonge Lake is situated between Muskallonge Lake and Lake Superior. This area is known very well for its lakes, forest, streams, and beaches. Lake Superior was named by the Ojibwe people, "Gichi-Gumee" meaning "Great Sea". Henry Wadsworth Longfellow wrote Gichi-Gumee in, "The Song of Hiawatha", as did Gordon Lightfoot in his song, "The Wreck of the Edmund Fitzgerald". The first French explorers approaching the great inland sea by way of the Ottawa River and Lake Huron during the 17th century referred to their discovery as le lac supérieur. Lake Superior has a surface area of 31,700 square miles which is the approximate size of Austria. It has a maximum depth of 1,333 ft. According to Frederick Stonehouse, a shipwreck historian, the southern shore of Lake Superior between Grand Marais, MI and Whitefish Point is known as the "Graveyard of the Great Lakes". More ships have been lost around the Whitefish Point area than any other part of Lake Superior. The SS Edmund Fitzgerald was the latest major shipwreck just 15 miles from Whitefish Point during a horrendous storm on November 10, 1975. Over 80 species of fish have been found in Lake Superior. Species native to the lake include: banded killifish, bloater, brook trout, burbot, cisco, lake sturgeon, lake trout, lake whitefish, longnose sucker, muskellunge, northern pike, pumpkinseed, rock bass, round whitefish, smallmouth bass, walleye, white sucker and yellow perch.